Dear all Sony Xperia users! Are you getting trouble with bypassing Google Account on your Xperia running Android 8.0 Oreo? 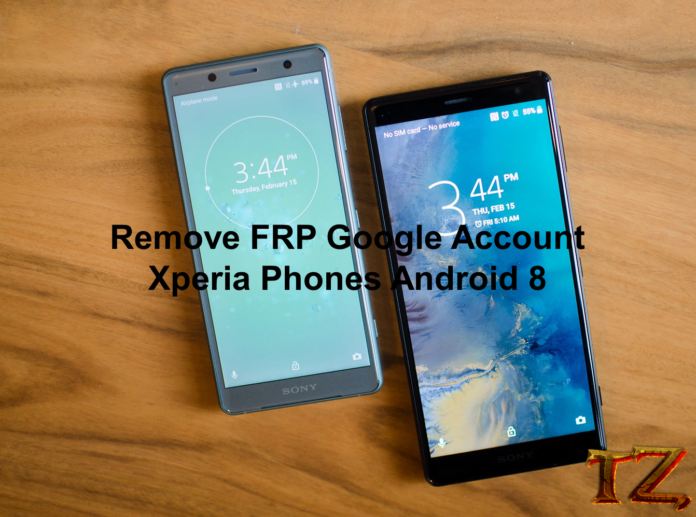 If the answer is Yes, then this post will help you remove FRP Google Account on your Xperia phone. Bypassing Google Account is not easy; flashing stock ROM cannot help in resolving this problem, so you should read steps carefully. First of all, power on your phone and connect it to a Wi-Fi hotspot. Once you are in the TalkBack tutorial screen, draw L letter on the screen. Tap on TalkBack Settings, scroll down and turn off Explore by Touch or press & hold Vol Up + Vol Down keys for a few seconds to turn TalkBack off. Open Chrome again and download two files: Bypass_FRP 1.0 and Bypass FRP Android 8. Now, install Bypass FRP Android 8.apk first and then tap on Done.